BATHING is not just for cleansing and hygienic purposes. For me it's a wonderful 'Me Time' everyday experience just like going to the spa removing all sorts of dirt, stress and fatigue. If you would check our bathroom, you would think we are a big family. There are bottles of body washes, shampoos and hair conditioners. From time to time you would see new variants yet the all-time favorite remains in the bathroom. 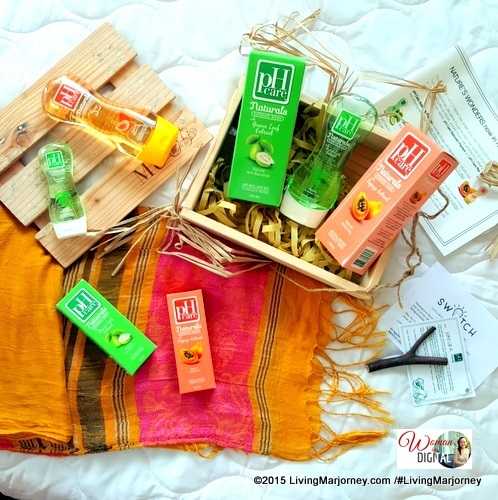 For 30+ years of existence, I only got to try three brands of feminine washes one is pH Care. 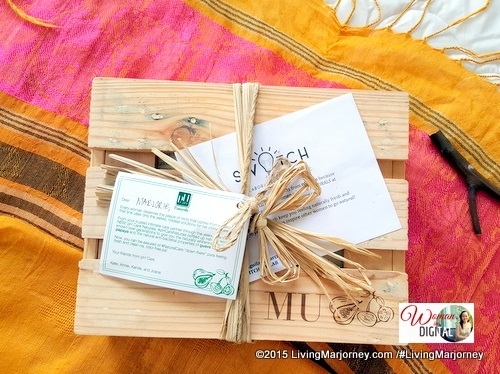 Last week, this pretty personalized box arrived in the mail. I'm loving presence in recycled material. It was well-presented in a wooden box with my initials in it and tied in a dry grass. I thought what's inside is something about natural products and I was right. pH Care uses nature’s wonders through two popularly used ingredients of papaya and guava leaves creating new pH Care Naturals line. It comes in two variants - pH Papaya and pH Care Naturals Guava. My eyes caught the pH Naturals Guava because I rarely see skin products with Guava extract which is known for its medicinal and antibacterial properties. It's the first bottle I tried and I'm loving the scent. It leaves a fresh and clean feeling. With hundreds of whitening products out there, we need to be careful what products to trust. pH Care is a product of Unilab, a company that's been in the market for years now. The #pHCareNaturals Papaya will be the first feminine wash with whitening properties I will ever use. Papaya extract is known for its whitening properties yet it's mild. Bathing isn't complete without natural cleansing product for our intimate area. There's dirt everywhere, it pays to use only the mildest skin care and beauty products. 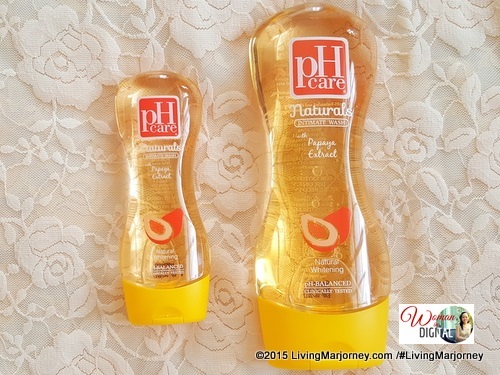 I'm glad pH Care come up with these two exciting solution "down there" - pH Care Naturals Papaya and pH Care Naturals Guava. 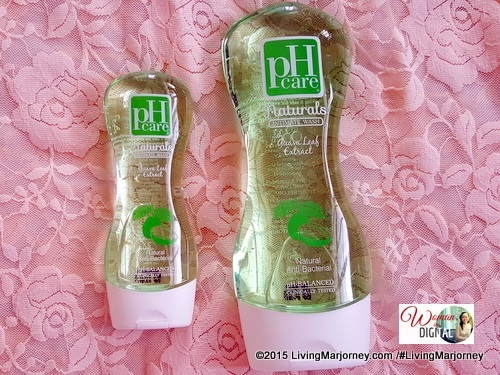 Have you tried any of the pH Care Naturals Line? What are your thoughts about it? Do you regularly use feminine wash?